In the previous post, the first stage in the Sales Funnel was covered. 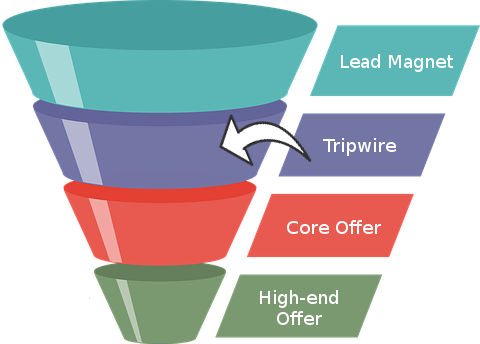 The next stage in a Sales Funnel is known as the Tripwire. But don't feel like you're trying to take advantage of someone! The Tripwire phase will be of value for both you and your customers. 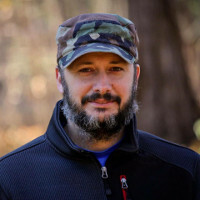 The goal of the Tripwire phase is to take those who know about your business (leads) but haven't purchased anything and turn them into paying customers. The Tripwire should be the most bare-bones offering you can make that will make someone a paying customer. If you own a photography studio and you typically charge $150-$200, your tripwire should be really cheap. Perhaps in the $10-$20 range. This is an amount that isn't going to hurt them to spend. At the same time, you shouldn't be losing money to perform the service. This will allow customers to try out your service on a small scale and get to know you a bit before committing to a family photo session or even a wedding. Let's dive into some examples! Imagine being the owner of a high-end Shoe store. What could you do to get more people in the door? You may not want to sell low-quality cheap shoes for $10-$20 because that doesn't fit your target audience. One idea would be to sell socks in your store too. This will get more people in the door, and even if they don't buy a pair of shoes, they get to check out your store and meet the staff. You have now gained their attention with your high-quality socks and shoes and helpful staff. Yes, that lovely pair of fluffy, pink socks helped you to convert your lead into a paying customer! I think you get the idea, so let's cover a bunch of others real quick. As you can see, the Tripwire doesn't have to be too difficult to figure out. Remember to make sure it fits your target audience, and that it's the cheapest product or service that you can offer. If you do those two things, you'll be converting leads to customers in no time!